1. Make a field trip out of your child’s summer reading interests. Maybe your son can’t wait to head to the local amusement park, so get him even more excited by encouraging him to read about the 10 highest roller coasters on Earth! If your daughter loves to go for bike rides, encourage her to read about local trails and pick a new one to try each week. Reading maps is a legitimate reading skill that has practical implications for the future. 2. For early readers use sidewalk chalk and write words such as “ball”, “frog”, and “bat” – and either have your child draw the picture of the word she sees or try your own artistic skills and draw pictures your child has to match to the correct word. 3. Set up a tent outside and designate that as the Reading Tent. Set a good example and use the tent yourself to get caught up on your own summer reading list. Add in some pillows, a blanket, and some glow-sticks and you can bring the bedtime story outdoors. 4. 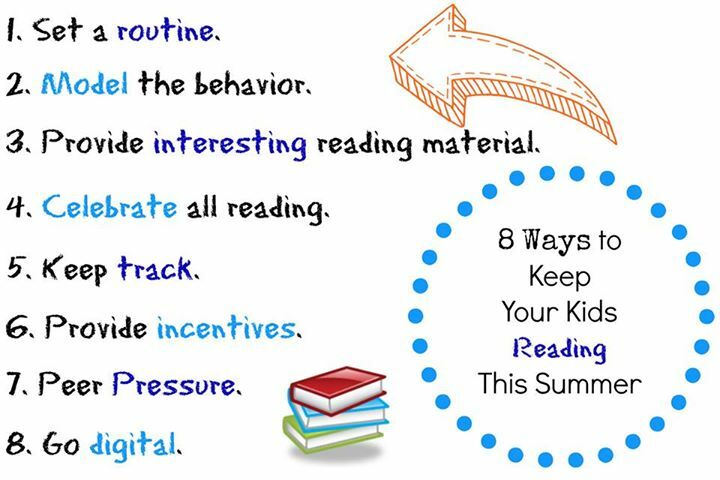 The simple idea of just making books more accessible to kids can help encourage their spontaneous reading during the summer. Think of where the books are located in your home – tucked up and out of the way or easily within a child’s reach? 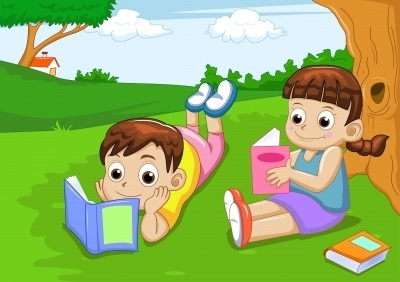 Take a picnic basket and have the kids help fill it with books to read. It’s cute, easy storage for summer reading! It might even inspire a reading-picnic. 5. Use technology to bring reading to life for kids who benefit from multi-sensory learning. Maybe your child benefits from an audio clip to which he can follow along as he reads, or your daughter thrives from interactive stories that have words or characters hidden within the digital pictures. On hot days relax in the AC with your kids and let them read on the tablet or laptop as their screen time for the day. 6. Use travel car games that incorporate reading. Predict the number of miles that will be on the next mile marker, or look for letters of the alphabet (in order) on road signs. Simple games like these take the pressure off of reluctant readers and help to build literacy awareness. 7. Check out book lists online to see what other people are reading this summer. Sometimes kids are overwhelmed with too many choices at the library but you might be able to help narrow down their selections by choosing from a defined list. Keep looking for other ways to incorporate language and communication skills into fun and engaging summer-time games. 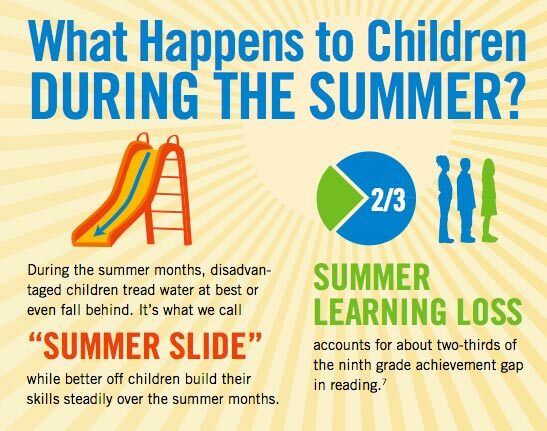 Reading isn’t only about the words on the paper or the screen, it is about building a vocabulary and reinforcing it with multi-sensory activities – and there’s no time better than summer to get out and get active with your kids!